My lovely wife, Pulitzer Prize winning journalist Angie Drobnic Holan, is the unofficial editor and webmaster of my Irish-American blog. She is also the baker of delicious third-generation Irish-American soda bread, perfecting the recipe brought here in 1912 by my Kerry-born grandmother and adapted to U.S. kitchens and ingredients by my Pittsburgh-born mother. Angie and I love to slather Kerrygold butter on fresh, warm slices. 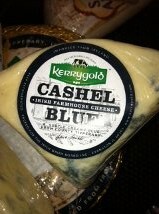 Today while visiting an Austin grocery story another Kerrygold product caught Angie’s eye: Cashel Blue Farmhouse Cheese. We both love cheese. She snapped a picture with her iPhone and emailed it to me as a love note, insisting that I write a blog post. Done, my love, with an additional image from the company website. Safe home soon. 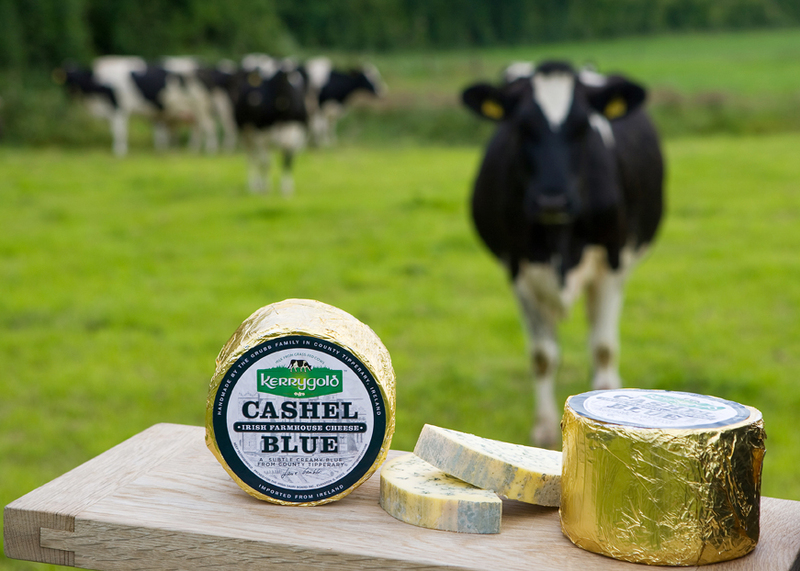 This entry was posted in Arts & Culture, Irish America and tagged Angie Drobnic Holan, kerry, Kerrygold on June 12, 2013 by admin.